Santa Fe vs. Junior in Bogota, Colombia. The fans inside the stadium really made us feel welcome, including some young children who were desperate to practice their English with us. 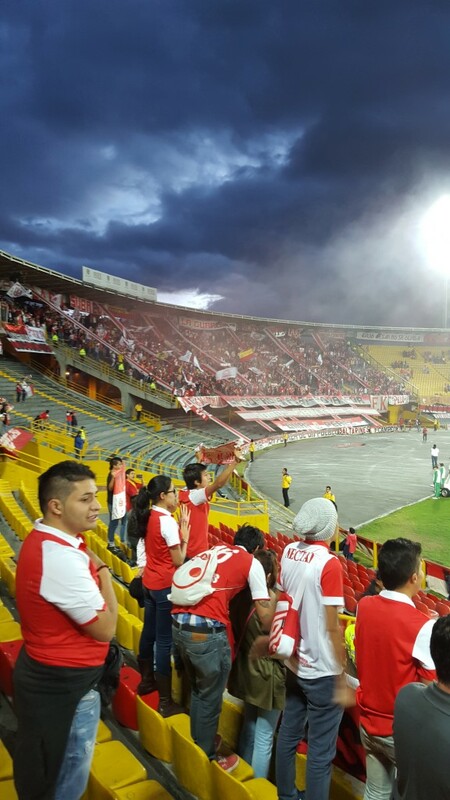 The stadium was part-full apart from at the ends of the stadium where the die-hard fans "La Guardia Albirroja Sur" were situated. They made a lot of noise and didn't stop jumping from the beginning to the end of a 3-1 victory for Santa Fe.